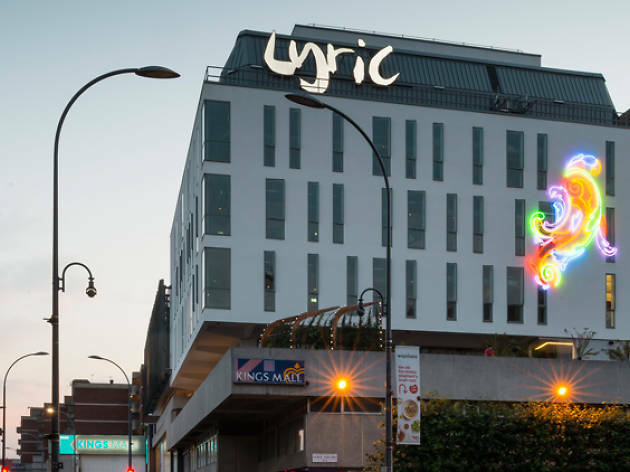 Emerging in 2015 from a multimillion pound makeover, the Lyric Hammersmith is less a simple theatre, more a multipurpose community hub that includes everything from recording studios to digital development rooms. 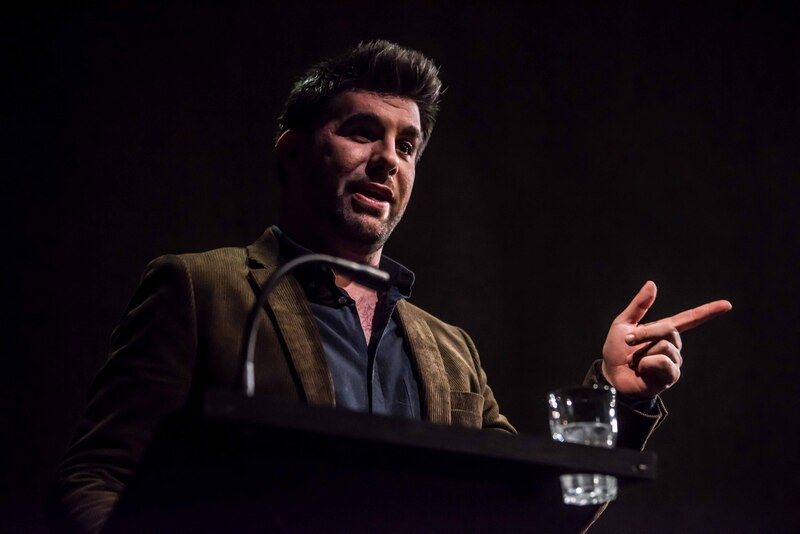 But plays remain at the heart of it all, thanks to the singular artistic directorship of Sean Holmes, who has turned the Lyric Hammersmith into a venue both avant-garde and accessible, marking it with his own, very European directorial style. 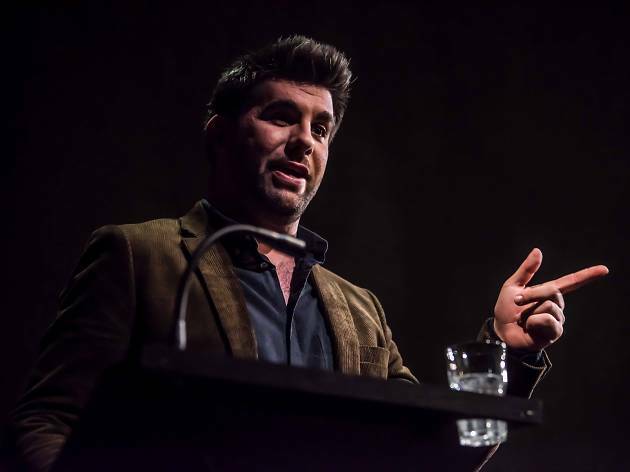 He's leaving in 2019, to be replaced by incoming artistic director Rachel O'Riordan, who's had an impressive run of success at the helm of Cardiff's Sherman Theatre. Exploring the Lyric's interior is a play of two halves; the front of house areas are all shiny concrete-floored modernity. But step inside the theatre's auditorium and you're suddenly transported into a carefully preserved 1895 Frank Matcham-designed roccoco interior of rare splendour, complete with an unusual, curved proscenium arch. That's because when the original Lyric Theatre was demolished in 1969, its auditorium was painstakingly removed and carefully preserved in a new theatre down the road, which opened in 1979, before being thoroughly revamped and expanded in the 21st century. 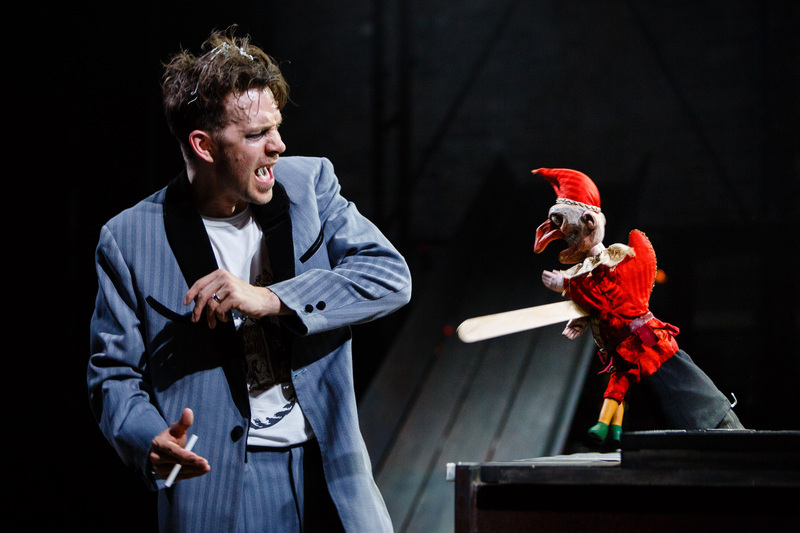 The Lyric Hammersmith's tickets are cheaply priced, with many major shows staging a free preview for local residents. It's never fuller than at panto season, when the auditorium is packed out with families, and its regular Little Lyric strand of programming lures in kids during the school holidays. It's also arguably one of the best spots in central Hammersmith to grab a pint and a bite to eat, not least on its first floor roof terrace, which is a green and pleasant oasis in the middle of gritty W6. 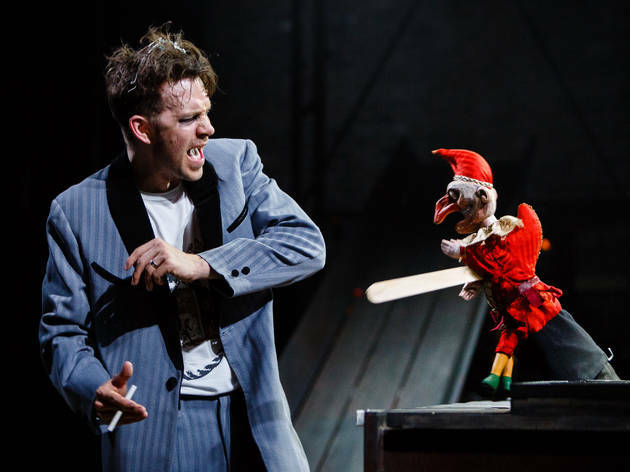 Lots of superb original and accessible theatre for all the family. Important to have these theatres deep in the heart of the city playing to the masses but bringing original and thought provoking theatre to those who wouldn't normally go into the West End. We all love a roof terrace, but I don't think many people would know that the bar and terrace of the Lyric are actually open to the public, regardless of whether they have a ticket to see something or not! With the grill offering lunches and dinners for pre, post and during productions, everyone has the chance to enjoy this spacious area above the entrance to the theatre, which is great when the weather is as glorious as it has been. With a bit of shade provided by pretty trellising and ample seating, this is a great spot to head for drinks and dinner in the area. The ordinariness of the Lyric's exterior belies a spectacularly decorated interior. 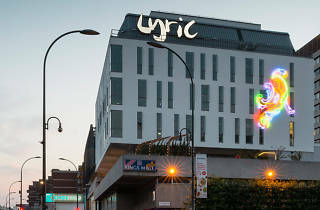 The Lyric is a great off-West End theatre that offers a very high standard of theatre productions. This was my first time, but certainly not the last to visit such a glamorous looking theatre. I wasn't expecting it to have such an astonishing interior. The exterior didn't have that attraction for me, but I do love the hard work and the commitment that the Lyric has created to produce such adventurous pieces of theatrics. It's close to the Hammersmith Underground Station and not so far from Shepherd's Bush. I walked from Shepherd's Bush to the Lyric and it took me about 10-15mins. It's almost centred in the middle of Hammersmith and stands proudly displaying its lyrical colours. Their are known worldwide for their use of creativity and their difference in the shows that they create. I totally agree because I recently went to see one of their intimate shows called "Shopping & F*ing". This show was total madness on all levels, but we as the audience laughed all the way through. Before you even enter the auditorium, you have an exquisite dining space with a gorgeous bar/restaurant. What I loved about this space were the quotes splattered around the theatre walls. It added that special touch to the Lyric. I particularly liked the fairy lights hanging intricately on the stairs while walking up to the auditorium space of the theatre. The outside garden/balcony is a delight, especially for that romantic viewing to the city or even to relax and appreciate the place that surrounds you. The whole space and how the stairs are situated creates a traditional, but modern architectural design. The staging space was a phenomenal shock. I was expecting a normal, luxurious looking auditorium with red luscious seats. You do get that, but with this show there must of been a twist. It almost looked like a gigantic construction site placed right on top of the seats. Even if you are not visiting to see a show, you have such a beautiful place to dine for the evening. I went here recently for the first time to see Things I know to be True - an amazing production btw - but I was struck by how lovely the theatre was. rightly or wrongly I always assumed that Hammersmith wasn't that scenic but as you round the corner to the theatre it opens up into a lovely plaza with bars and restaurants surrounding the theatre. The building itself is full of surprises - a lovely modern bar and foyer opens out onto a tropical roof terrace that feels liek you're having a cocktail on holiday (in the summer) rather than at a theatre in Hammersmith. I would actually go there for drinks without seeing a show, that's how nice it is. Seen some fantastic shows here. 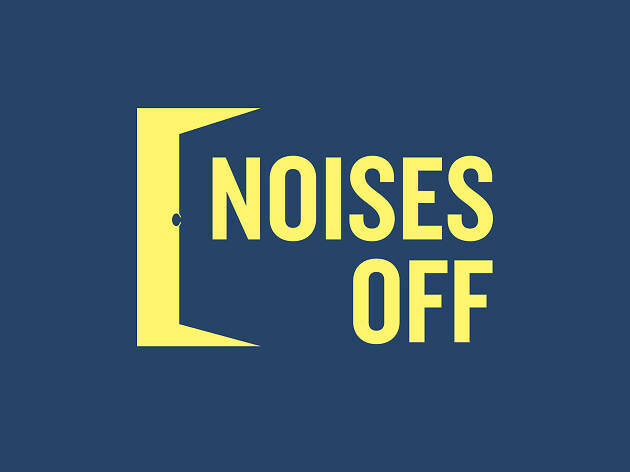 They're not afraid to take chances with off-beat and quirky productions. A local gem. Great night out and behind the scenes they do great work with the local community. Great. There would need to be a Lyric in every London Borough! Despite having lived close to the Lyric for over a year, I have never made it to one of their plays until recently. The play was "Things I know to be true" a relatable story about a family and their struggles, which was not only emotional and moving, but also funny and bold. Not only did the play leave an impression, but also the Lyric itself - I never thought that behind those unremarkable walls lies a completely different world. The space itself is not too big and you can get a good view of the stage, as well as a great acoustic, but the best bit about it is the beautiful roof terrace, which invites you for pre and post drinks (or just drinks) and offers a great background to wind down after a stressful day at work. I am already looking forward to summer 2017 to spend a lot more time outside (and hopefully inside) the Lyric. The Lyric is perfect for everything. Fancy a bit of theatre? One large space and one smaller studio cater for a variety of regional and local productions. The bar is large and open and there is a wonderfully green roof terrace jutting off the side. Perfect in summer and almost always emptier than you think it should be, if you're not enjoying one of the river pubs, you should be here instead. A little known rooftop bar in Hammersmith that is perfect for summer sunbathing, whilst tucking into a good book and some macaroni cheese. Popular mainly with the local employees who can visualise its existence from their 5th floor office blocks. I was a local of Hammersmith for some years and over the years had cause to visit this Theatre and roof terrace quite a few times. As has been said the childrens activities are varied and numerous. The roof terrace itself, when I lived there in the 80s and 90s was a laid back place where it was nice to go after a hectic shop on the High Street, and just relax for a few moments! I liked it because it was unpretentious and though you were still in central Hammersmith there was a little peace and quiet and its quite large so you can have some privacy! !